In this final spotlight, learn more about the Faction System Update on the Faction Base and Trials! The new faction base has been relocated and new features have been added! From the previous expansion spotlight you might have noticed some new information in the Faction UI in the top left corner. Three new resources are added to Factions: Chivalry Points, Loyalty Points, and Loyalty Fund. 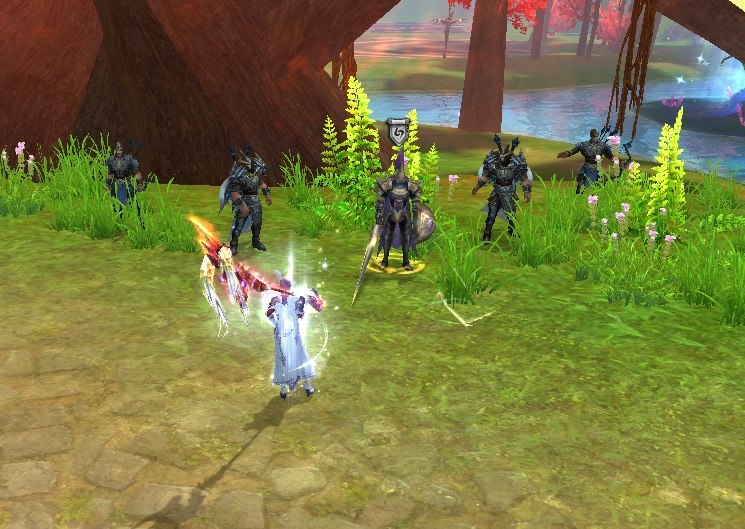 Chivalry Points represent players' personal contributions to the Faction. Loyalty Points are required to enable Faction instances. Chivalry Points contributed by individual Faction members will be accumulated as the Faction's Loyalty Points. The total Loyalty Points a Faction accumulated during a week will determine how many levels can be completed in their Faction Instance the next week. Loyalty Fund can be used to activate Faction Talents. 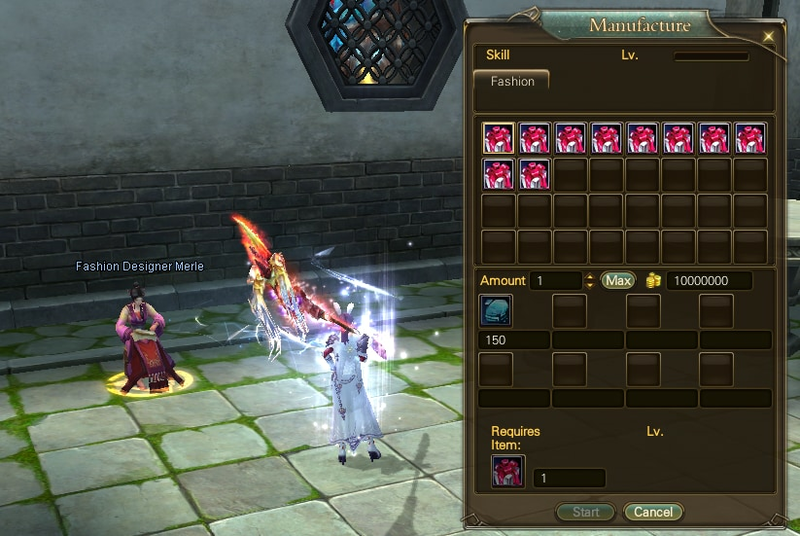 When all Faction Talents are activated, the Loyalty Merchant will show up, with services for sale that costs Loyalty Fund to purchase. Only Faction leaders can spend Loyalty Fund. Party up with fellow Faction members and complete Flowsilver Palace, Uncharted Paradise, and Dawnlight Halls to win Chivalry Points and Loyalty Fund. There are eight levels of Faction Talents, which reset at 00:00 every Monday. 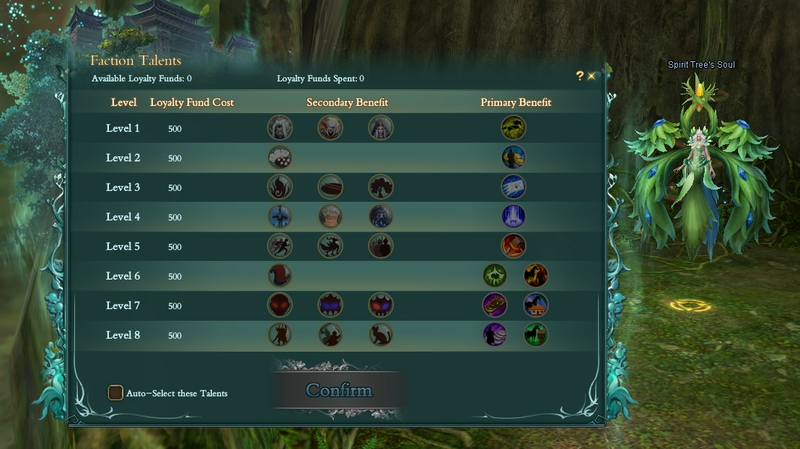 Faction leaders can activate Talents in the Tree Spirit menu at the Miracle Tree. These talents can give a variety of different perks to the Faction. Primary Benefit - Ticket Vendor : Gives tokens to enter certain instances. Will still need to meet the requirements for entry. 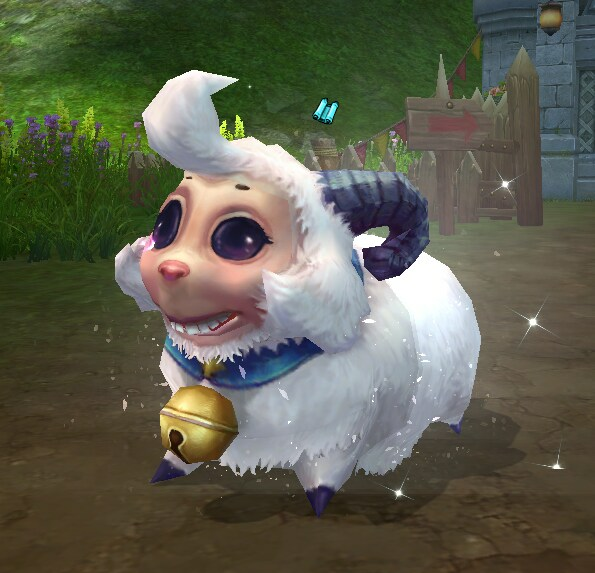 Primary Benefit – Emergency Mail – All mail between faction members arrives immediately, also affects Mass Mail sends. 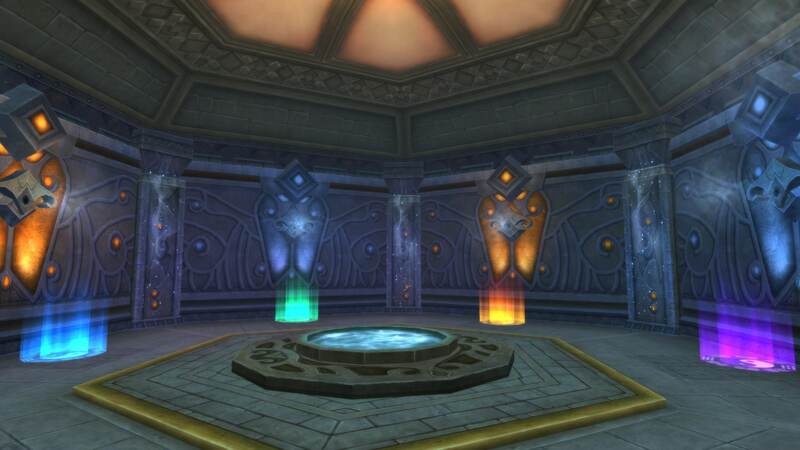 Primary Benefit – Faction Base Teleport skill unlocked. 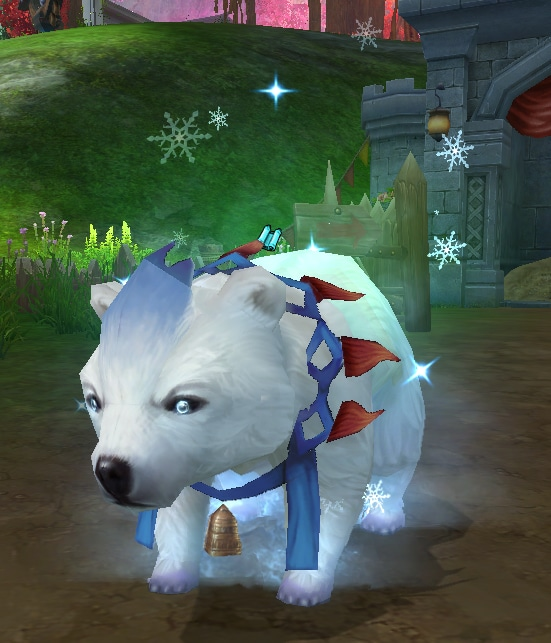 Faction Pets have three main stats: Hunger, Mood, and Comfort. 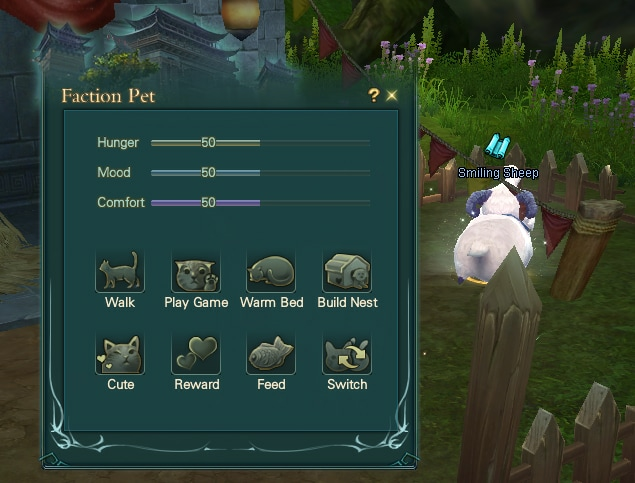 Players need to grow crops or catch fish to feed their pets to increase their Hunger, spend time with their pets to increase their Mood, and provide them with good dwelling conditions to increases their Comfort. 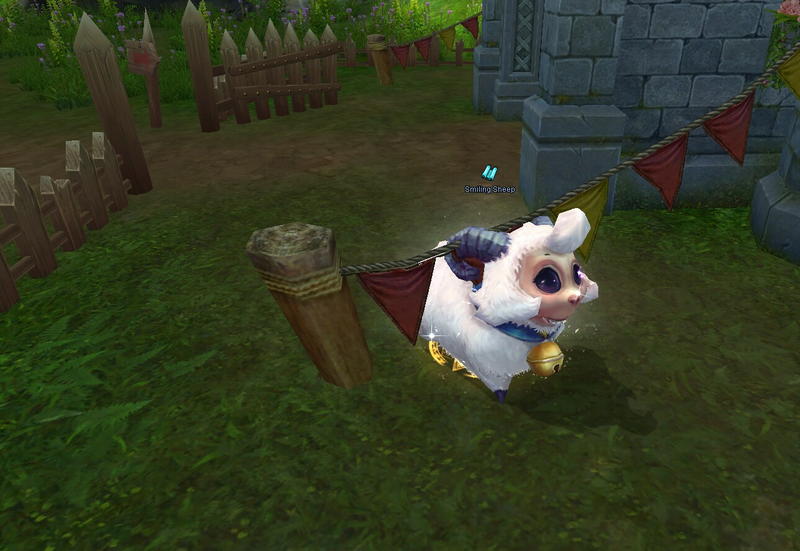 Happy pets bring rewards to the faction. You can switch between these forms freely with the “Switch” option. 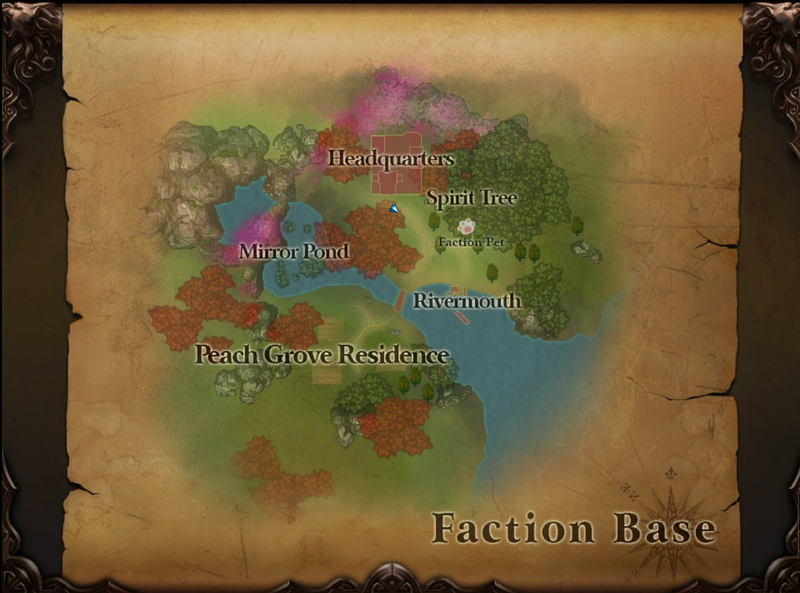 The Faction Base Trials has returned with a vengeance! The old Faction Base has been taken over by formidable foes. Requires a certain number of Loyalty Points to unlock each level. 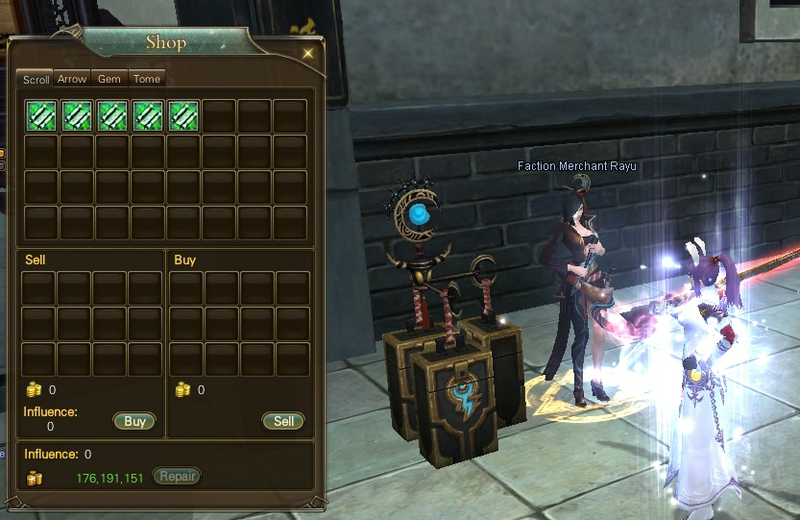 Reawakening I LV100, Arcane Sky, weekly Chivalry Point >= 10. NOTE: Players who quit a Faction and joined a new one can not enter the Faction Base for 7 days. For first completion, you must complete each level one after another. After that, you can directly enter a level that you have already completed. For levels you have not completed yet, you still need to complete them in order. Each level can be completed once per week. You can not open two levels at the same time. To enter Level 10, you have to complete all 9 levels before it first. **Known Issue – There is an issue where, if there are no players inside the Faction Base at 24:00 on Tuesday, there is aa chance the Instance resets on Wednesday at 00:00 server time. This will be corrected in a future update. 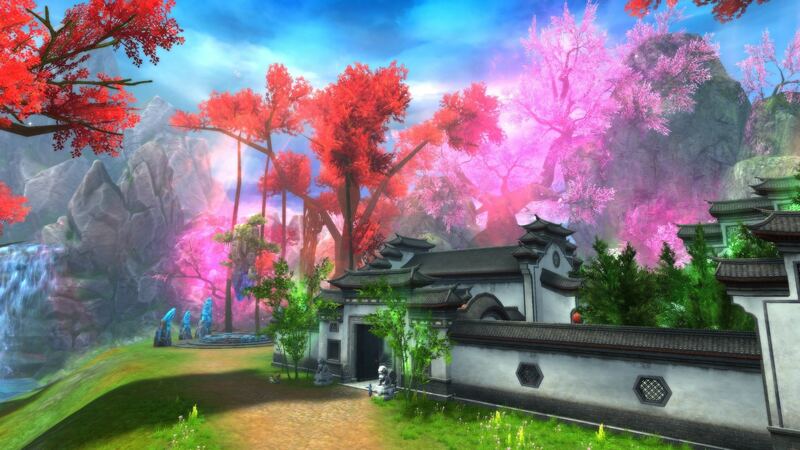 We hope you’ve enjoyed all of the extensive Feature Spotlights about PWI: Wonderland! 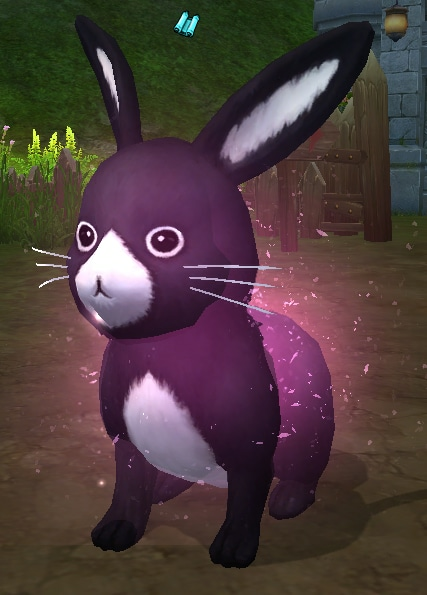 Which one of the new features is your favorite? Want to get the most out of Perfect World International? Like us on Facebook for more fan-exclusive content and follow us on Twitter – tweet us your questions! 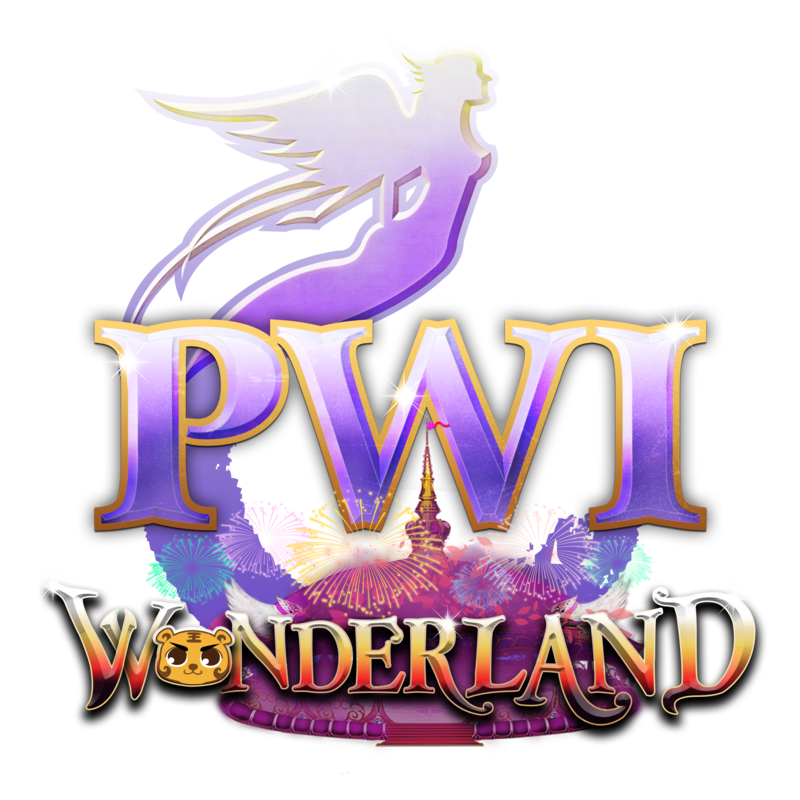 PWI : Wonderland will launch 1/31/2018!